Sure, everyone loves summer in the Pacific Northwest. From ideal conditions for Columbia River Gorge windsurfers to beautiful viewpoints at the end of hikes to paddling cool waters, our idyllic summer receives plenty of plaudits (all of them deserved) from outdoor enthusiasts near and far. But all that hype overshadows fall and winter, both of which bring their own rewards that might not get the same kind of publicity—but nevertheless deserve a shout-out. And while it might be a stretch to call the rainy season our favorite, there's a lot to love about cool, wet days in and around our fair city. 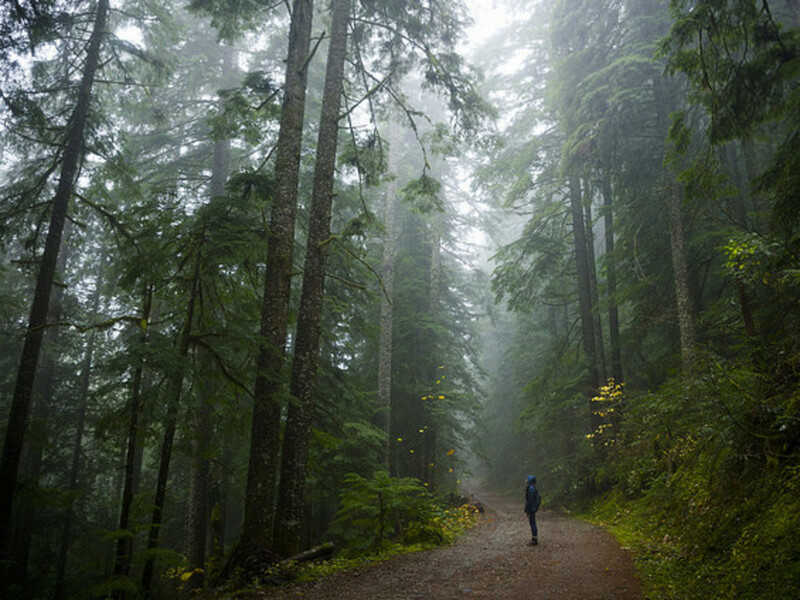 In that spirit, here are ten reasons to head outside and find adventures suited to the rainy season in Portland, from cozy pub crawls to unusual (or unusually deserted) hikes. 1. Hiking trails are less crowded. There are certain trailheads around Portland where parking becomes a hair-pulling test of patience after 10 am on a sunny summer Saturday. (We're looking at you, Angel's Rest and Dog Mountain.) But once school starts and the rain arrives, hikers disappear with the blue skies. 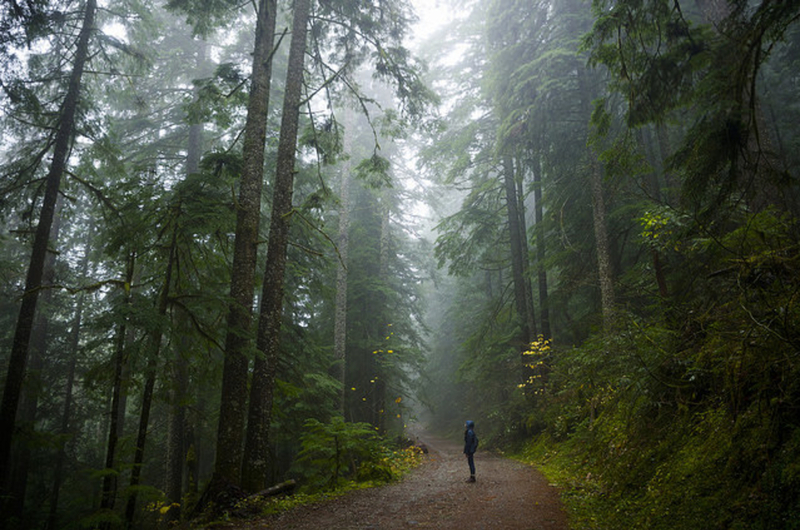 Take a day trip that won't be clogged with visitors and doesn't depend on good weather for pristine viewpoints: Walking around the Opal Creek Wilderness unveils one of the most scenic, majestic hikes in all of Oregon, no matter the forecast. 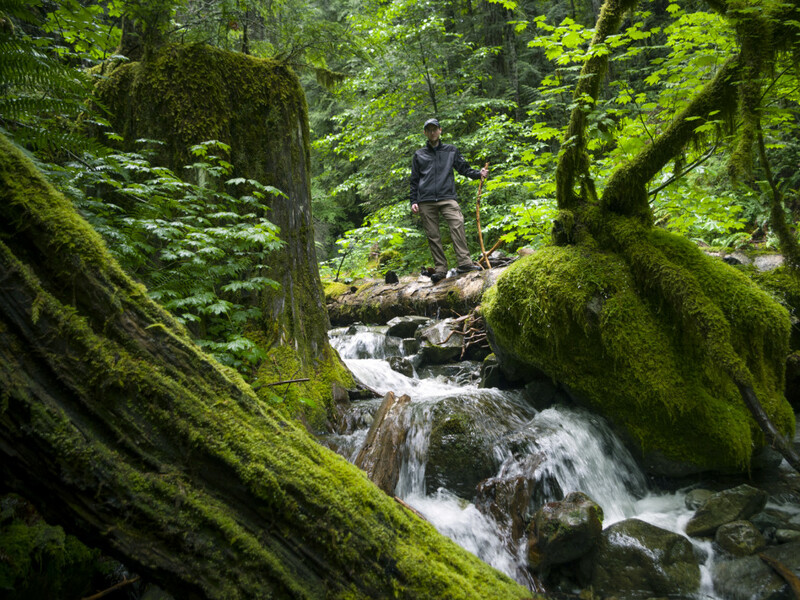 Given its remote locale, the Opal Creek Wilderness is flush with crystal-clear pools, towering forests that never seem to end, and amusing curiosities like the abandoned mining town of Jawbone Flats. 2. Oregon's waterfalls have never looked better. With all the recent rainfall (including the Halloween storm that clogged drains and slowed MAX trains throughout the city), nearby waterfalls may be more impressive now than during the popular summer months. 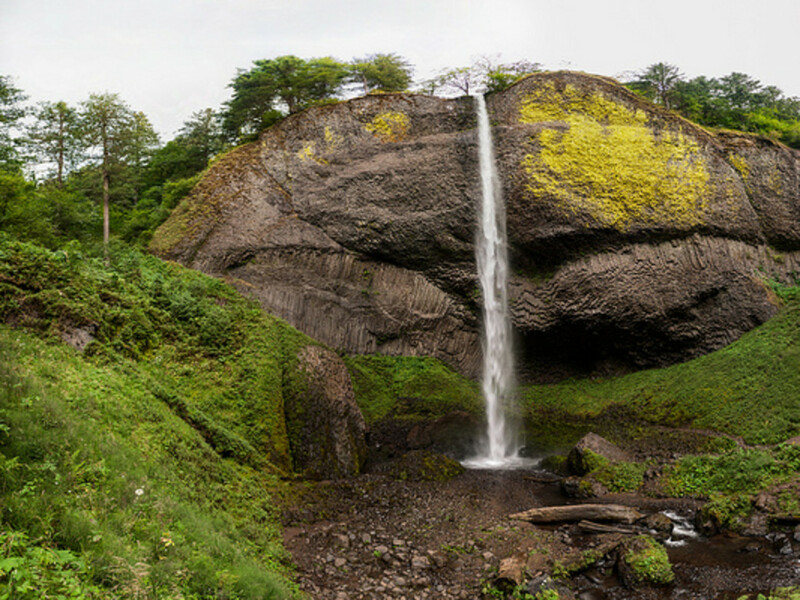 The 224-foot Latourell Falls, which tumbles over an eroded lave flow, is among the most accessible and beautiful in the Columbia River Gorge. The whole loop is only 2.4 miles, and it rewards hikers with views of the waterfall, lava flow, and surrounding greenery. 3. Softer ground means better trail running. Trail running puts a lot of stress on your body, but occasional rain showers soften the ground and lessen that strain. Assuming local trails haven't become impassable due to torrential rains, the softer surfaces have more "give," which helps lessen the risk of shin splints and other maladies. 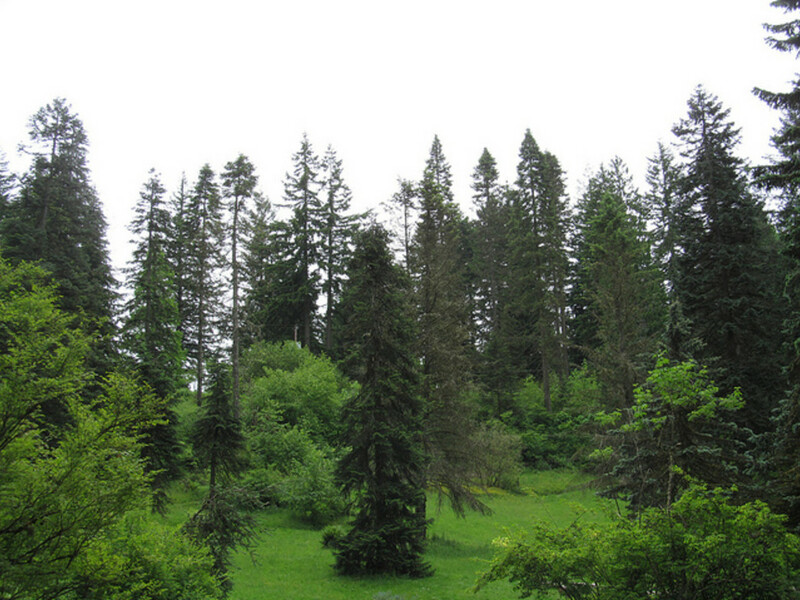 Runners itching for a jaunt between showers could do worse than the 325-acre Lacamas Park near Camas. 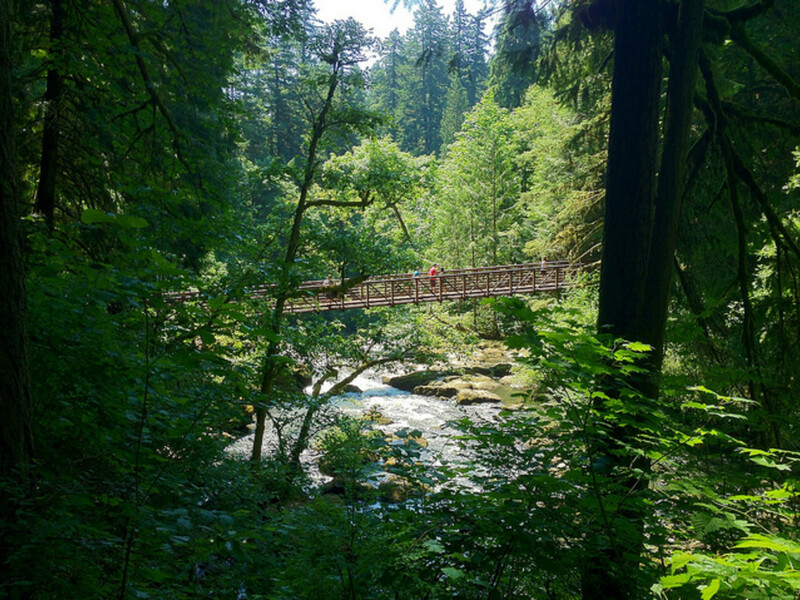 A network of interconnected trails allow runners to enjoy up to six miles of scenery, including Round Lake, deciduous trees, and the tranquil Lacamas Creek. Not just that, but the thick forest canopy offers a respite on rainy days. 4. It's the perfect time for a pub crawl. Bad weather outside gives Portlanders an excuse to stay warm and dry inside. And, given Portland's well-deserved reputation as a beer mecca, a safe and responsible pub crawl is an easy, fun way to enjoy rainy days. With proximity to mass transit and abundance of breweries, the Central Eastside Industrial District is among Portland's best outposts for sampling some of the city's finest beer. 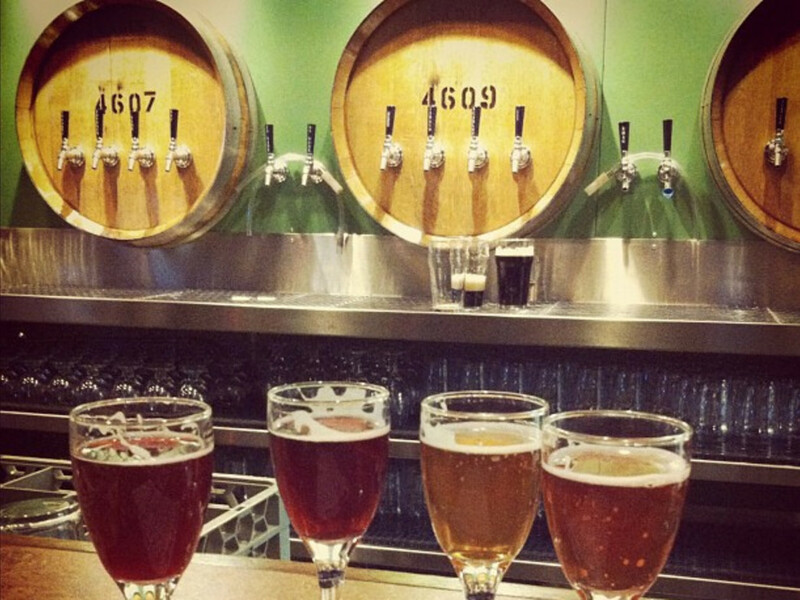 We'd suggest starting with Cascade Brewing Barrel House, which serves the standards by which all other sour beers are measured. The brewpub's 16 taps offer a mix of current and aged sours, many of which come from fruity sources, including raspberry wheat, strawberry, apricot, raspberry, and apricot. From there, the options are limited only by your proclivity for stumbling around. The Green Dragon Bistro & Pub, Commons Brewery, Burnside Brewing, Base Camp Brewing Company, Hair of the Dog Brewing Company, and Baerlic Brewing Company all brew fantastic beers and offer inviting atmospheres. And they're all within walking distance, at least for a few pints. 5. It's never rainy in the Ape Cave. Soggy conditions mean it's a great time to check out the Ape Cave in the shadow of Mount St. Helens. 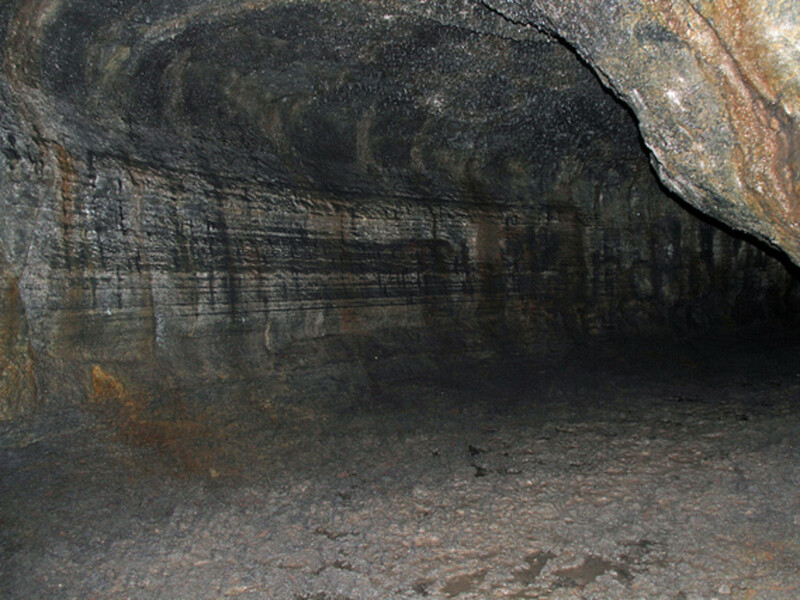 The Ape Cave is the third longest lava tube in North America, measuring more than 13,000 feet long, and provides two options for subterranean exploration. The lower cave is a .75-mile out-and-back, while the upper cave is more difficult (requiring a few climbs) and measures about 1.5 miles (not to mention the flat, above-ground path back to the trailhead). Fair warning: No matter the weather above ground, it's always about 42°F in the cave, so hikers should dress accordingly. And there's no light once you're past the first few feet, so bring at least two light sources, just to be safe. And with winter on the near horizon, it can't hurt to check conditions beforehand. 6. It's officially fireplace season. Drinking around the fire is a Portland tradition; accordingly, plenty of area restaurants and lounges provide fireplaces for warm and cozy evenings with friends and loved ones. The Fireside is an obvious choice. Located along trendy 23rd Avenue, The Fireside's indoor fireplace keeps the whole restaurant warm, and "outdoor inspired" cuisine featuring organic ingredients from nearby farms and ranches is routinely fresh on the menu. 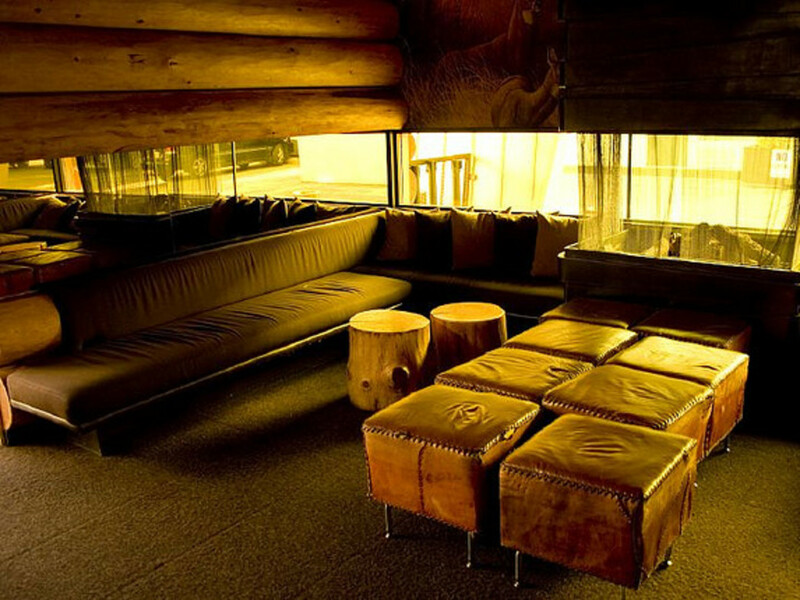 On the other side of the Willamette, the Doug Fir Lounge serves diners and concertgoers with a casual, cabin-like atmosphere that features stump-like tables, log-lined walls, and a roaring fireplace. 7. It's a great time to explore Forest Park. Where should you start? Check out our mountain biking guide; our overview of hiking the Wildwood Trail's north end; and information on running along Balch Creek Canyon or running one of the park's myriad scenic routes. You won't go wrong, no matter where you wind up. When you're done, get out of the rain and treat yourself to sandwiches, coffee, and French pastries at Saint Honore Boulangerie. The authentic bakery uses a firebrick oven imported from France and serves up a dizzying selection of hot and sweet treats alike. 8. You can stay warm and dry in a yurt or cabin. It's a conundrum: You love the outdoors, enjoy camping, and don't mind getting a little wet. But if the thought of pitching a tent in the midst of a downpour doesn't sound fun, consider renting a cabin or yurt at one of Oregon's beautiful state parks. 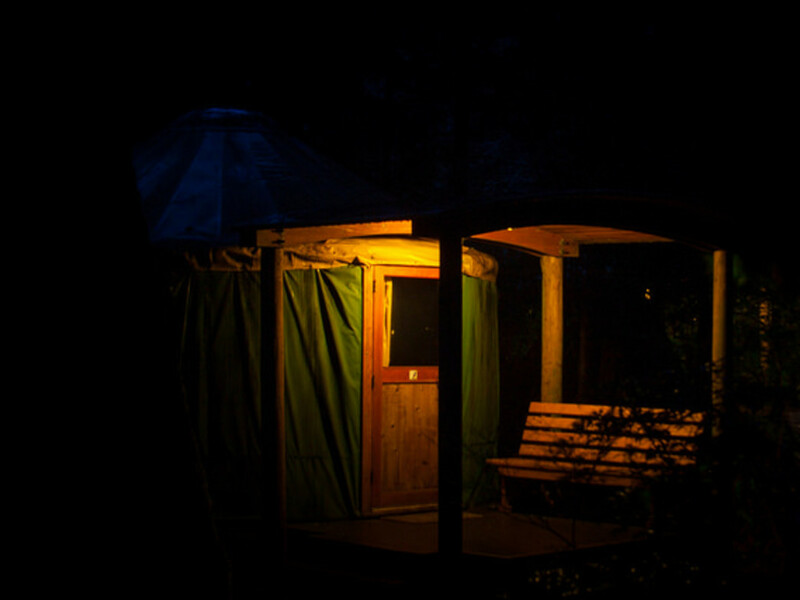 More than 30 Oregon campgrounds rent cabins or yurts throughout the state, from the coast to its far eastern reaches. They're tough to book during the busy summer months, but vacancies gradually open up as temperatures drop, and the almost total lack of set-up and clean-up makes them appealing alternatives throughout fall and winter. 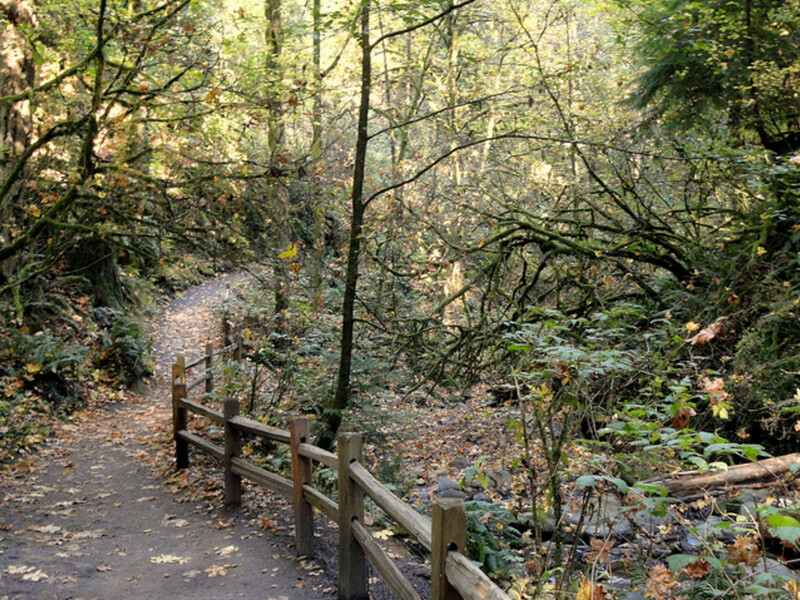 With so many state parks at your disposal, try booking a cabin at Silver Falls State Park. The crown jewel of the Oregon State Parks system boasts one of the most scenic hiking trails in the state, but it also offers plenty for cyclists and car campers to enjoy. 9. Fall foliage never gets old. Our long summer and late fall means that the last vestiges of fall foliage are still visible around parts of Portland. With more than 1,000 species of tree from around the world and more than a dozen trails on tap, there's no better place to take it all in than at Hoyt Arboretum. Look for eye-popping leaves of red, pink, orange, and yellow on the Wildwood and Hawthorn trails. 10. It's probably sunny at Smith Rock. If you've had enough of the steady, gray skies, make a day or weekend trip out of hiking or rock-climbing at Smith Rock State Park. Central Oregon gets about 300 days of sun every year, so it's a safe bet you'll be able to escape the cloud cover that's routinely stymied by the Cascades. It's a good thing, too, because Smith Rock affords hikers and rock-climbers nearly unmatched views of the surrounding high desert and neighboring peaks. Start with the daunting Misery Ridge trail, which gains 1,000 feet in the first mile, and soak in the views from the bluff while catching your breath. After a short trip around the summit, you'll come to the Monkey Face rock formation. 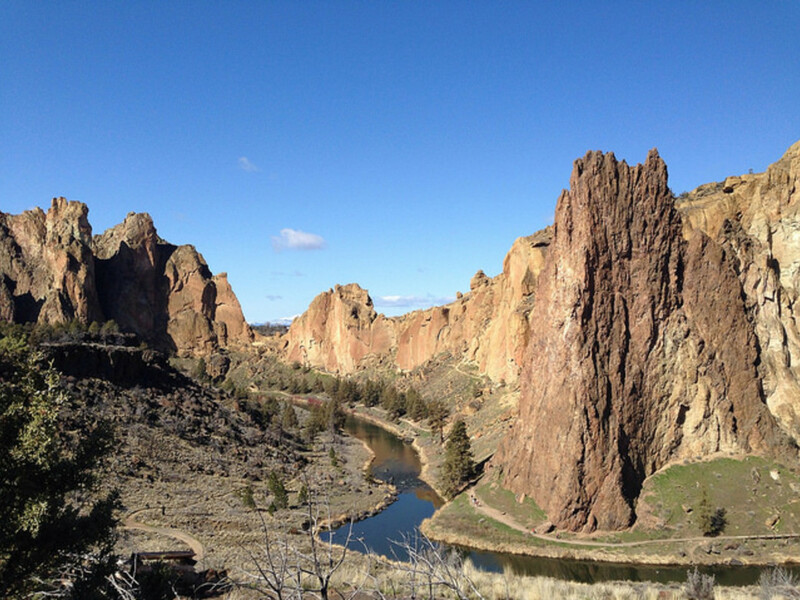 A winding trail takes you down to the Crooked River and back to the trailhead.